The American Geosciences Institute Foundation (AGI Foundation) helps the American Geosciences Institute (AGI) secure funding and mutually beneficial partnerships with foundations, corporations, private businesses, major and individual donors. 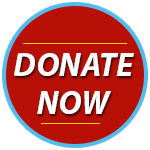 Your tax deductible charitable contributions enable AGI to create innovative Earth-science programs, launch new educational initiatives and promote geoscience awareness for all members of the geoscience community, and all members of society. We appreciate donations of any size. Your contribution will make a difference for our mission of promoting geosciences. Donating to the AGI Foundation is easy. You have an option of making your gift online or mailing your check to: AGI Foundation, 4220 King Street, Alexandria, VA 22302. Giving funds or other property to the AGI Foundation is one way to accomplish personal and financial planning objectives simultaneously. The best way to double your gift is to check with your current employer on whether your organization offers a matching gifts program. If you are interested in exploring this option, please contact us at: agidaspov@agifoundation.org.